JLB is a professional design and marketing firm, specializing in website design, development, search engine marketing, and social media marketing. Multiple Sclerosis Foundation Looking for South Florida's Best Performers for "Boca's Got Talent"
Sponsored by Plum Productions (www.plumproductionsmedia.com), who will be filming the event, "Boca’s Got Talent" kicks off at the famous Dubliner Irish Pub in Mizner Park (www.dublinerboca.com) on Monday, August 8th, at 6:00 p.m. It will be held in conjunction with Boca Festival Days and will once again give South Florida contestants a chance to show off their talents for prizes, maximum exposure, and a lifetime of bragging rights. To apply to be a “Boca’s Got Talent” contestant, contact talent@plumproductionsmedia.com. Popular radio personality, DJ/MC, and vocalist Lori McQuestion (better known as "Two-Story Lori") will once again emcee and perform at the event. Celebrity judges will soon be announced, as well as a full line-up of talent. “Last year, we had a full house and over a dozen contestants competing. This year, we hope to double the number of contestants as well as increase the number of spectators,” said Jennifer Jager with Plum Productions. "The event was so successful last year, thanks to both Jon Sahn, President of Ascendant Planned Giving and the Chair of Boca Festival Days, and Rob and Jennifer Jager, owners of Plum Productions and our event sponsor," said Sloane. For those who want to come enjoy the show, admission is $20, which includes one drink ticket, complimentary appetizers, and the unlimited entertainment. All proceeds from this event will benefit the Multiple Sclerosis Foundation. For additional information regarding the event, including sponsorship opportunities and tickets, contact Nathalie Sloane at nsloane@msfocus.org or call 954-776-6805. 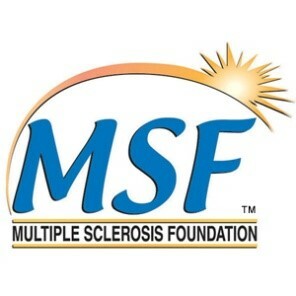 The Multiple Sclerosis Foundation (www.msfocus.org or 888-MSFOCUS) is a leading national publicly-funded non-profit organization headquartered in Ft. Lauderdale, Florida. The mission of MSF is to provide free vital programs and services designed to help improve the quality of life for those affected by MS and to heighten public awareness and understanding for those diagnosed with this debilitating illness. Among its many resources is MSFocusRadio.org, the first online radio station for the MS community that broadcasts informational and educational content around-the-clock. Sign up for email updates from JLB.